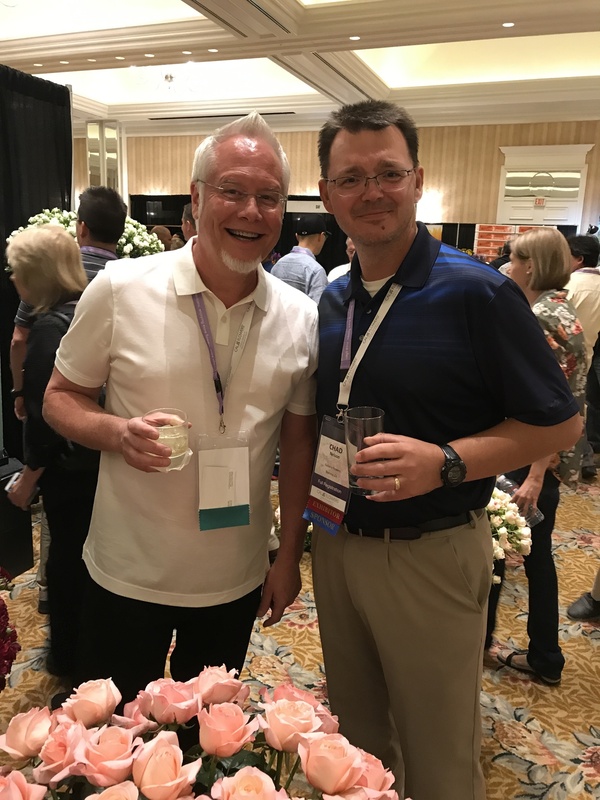 Chad and I met a long time ago- I’m not really sure when- I just know it’s always been fun- and our friendship has always been surrounded by the Prettiest Roses on the Planet- a phrase I’ve shared for years. 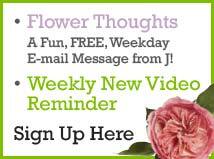 Chad is the General Manager of Eufloria Flowers in Nipomo California. I fell in love with the unique boutique roses from Eufloria decades ago! 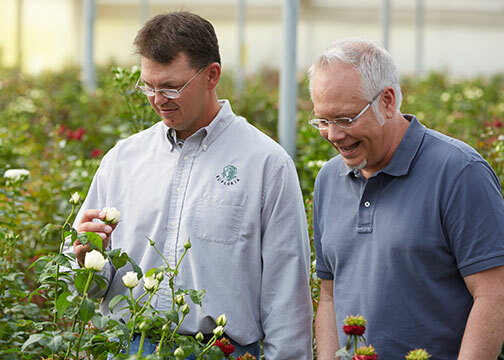 Chad Nelson and J Schwanke discuss new spray rose varieties! 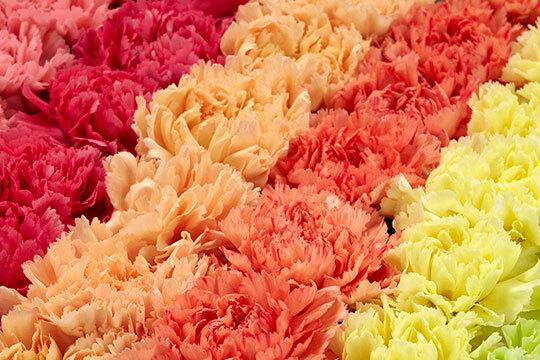 The vision of Eufloria- is to grow unique roses- and provide Beautifully Interesting varieties of roses to the flower world. 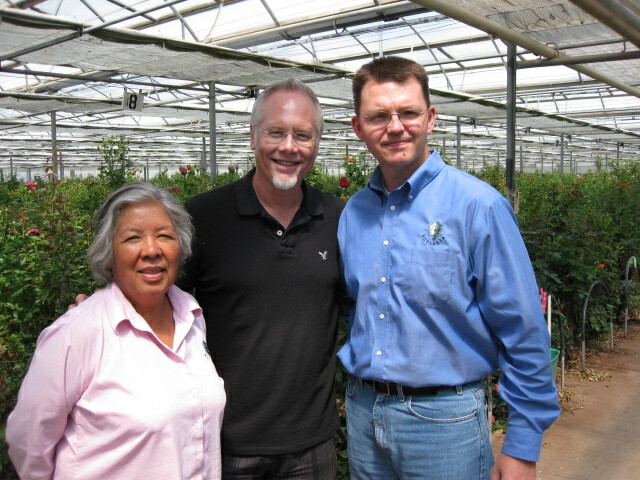 Chad helps oversee the production, planting, harvest, packaging, shipping and ordering of the Eufloria Roses. 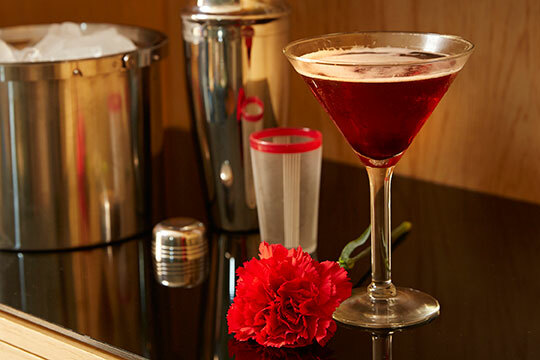 Their dedication to quality and care for these roses at every stage of the process is remarkable. I’ve traveled to Amsterdam with Chad on several occasions where we search for NEW Varieties at many different world renowned breeders. That’s part of the fun- searching for something new… or seeing rose varieties that are just being trialed. 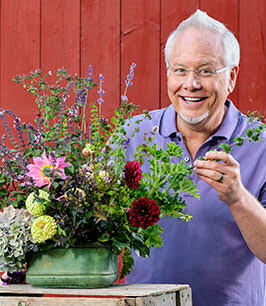 Plus it’s fun to sight see and experience a culture that is totally immersed around a passion for flowers. 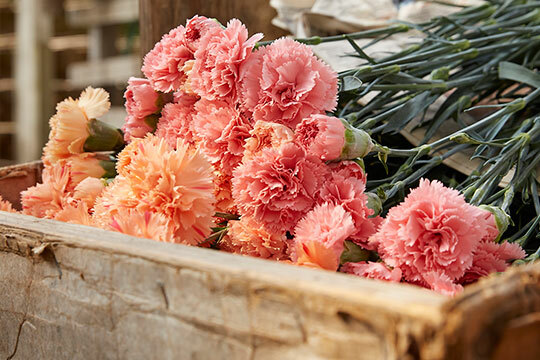 In turn- we’ve traveled around the country to show the amazing rose varieties to the Professional Florist- from California- to Boston – to Oklahoma- it’s fun to travel with a friend- and someone that shares the passion for flowers that I have. Chad is originally from Fargo North Dakota- another Midwestern Guy like me- there’s something special about that too! Chad has a beautiful wife Kathrine and 4 Great kids… and he’s an avid Baseball Fan… just ask him about his own personal run at the Majors! 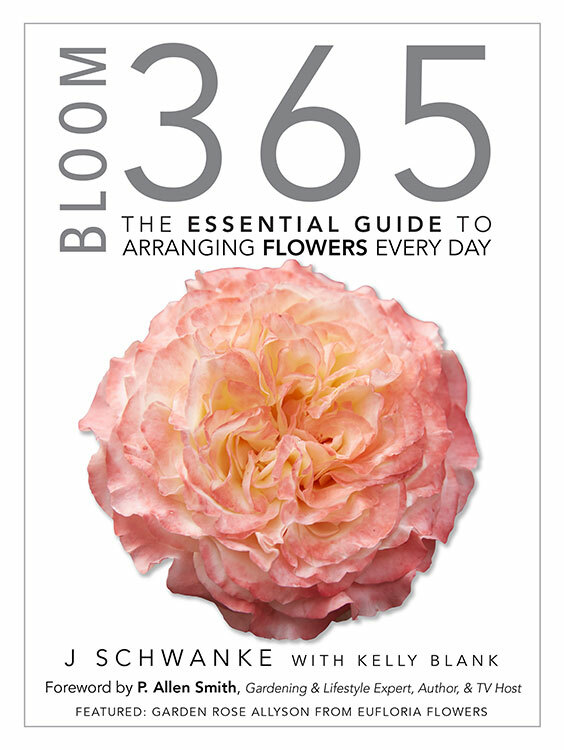 Also his daughter Allyson – has a rose named after her- that actually graces the cover of my Book Bloom 365! Eufloria Flowers- and Chad have been a part of my entire career in the Flower Industry- Kelly wore a Sweet Moments Rose Boutonniere at our Wedding, Eufloria Flowers have been a part of all our Life Moments… Births, Birthdays, Weddings, Anniversaries, and Celebrations of Life… I can’t imagine Life without Eufloria Roses- or my friend Chad… he’s always been around… Just go to my blog- and search for Eufloria Flowers- you’ll see page after page of entries about them! 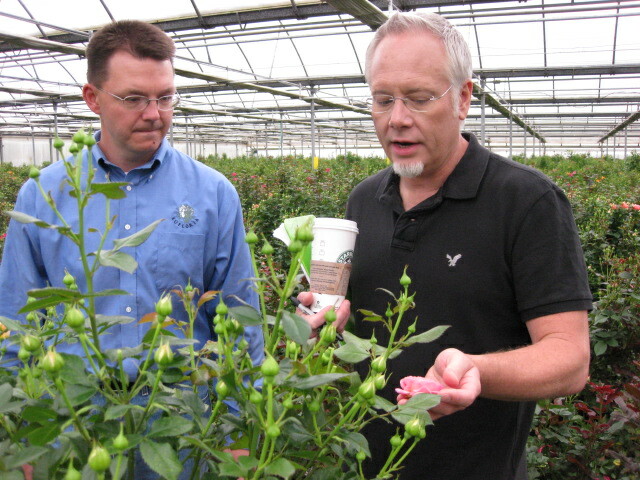 Chad shows J the New Garden Rose Varieties at Eufloria Flowers! 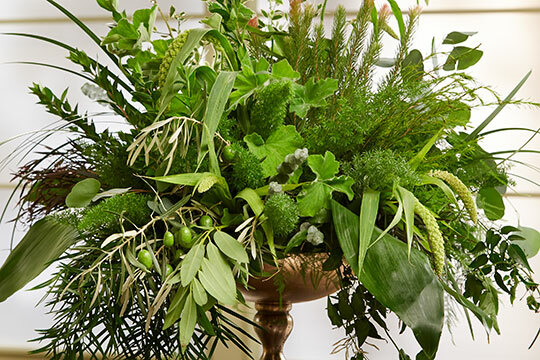 Flower Friends are the best… because we share that Passion for Flowers- and seeing something grow- from a tiny plant into a glorious flower- that makes memories, enhances our lives and creates happiness is truly one of life’s Magical Experiences. That’s something my friend Chad introduced to me… and I’m incredibly thankful!